One of the clips holding the DPST switch in place was found to be broken and fixed by white silicon glue. I replaced the switch with a new one and changed the wiring. All masking tape has been replaced and the grounding of the case has been fixed. 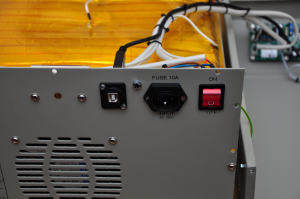 The two green LEDs in the front panel have been replaced by a red and blue one. 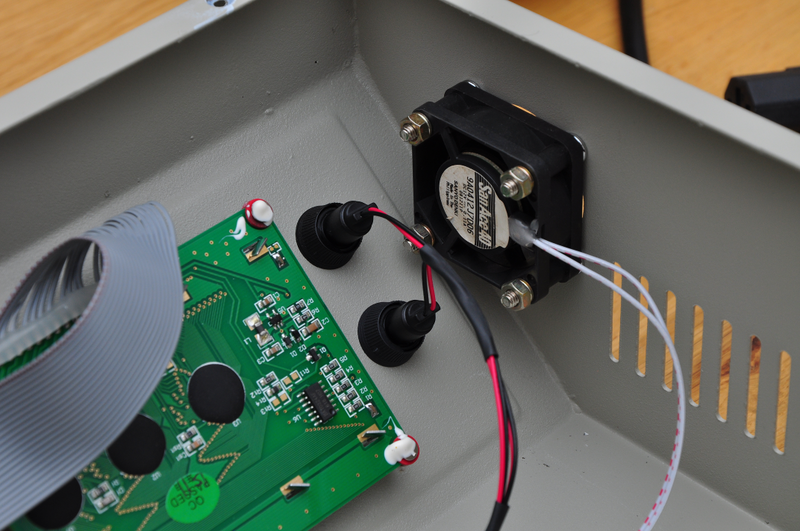 The small system fan has been made controllable and the USB interface has been installed. 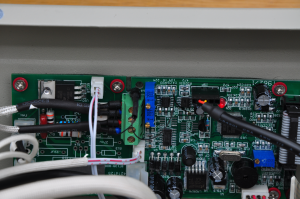 Next, and best of all so far, the controller has been upgraded to a fresh compiled version of the firmware by Unified Engineering of Sweden AB. Verify after copy RAM to Flash. 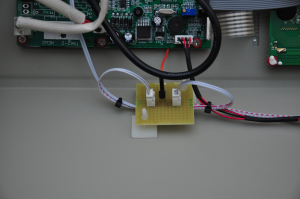 A new mod enables accurate temperature measurements down to the cold-junction temperature. 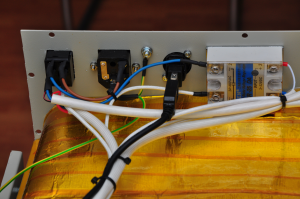 This requires a split power supply of the thermocouple preamplifier. First step was to lift the GND pin of the TLC27L2CD from the board and solder a wire to it. A small piece of shrink sleeve was placed over the pin to ensure isolation from the pad. 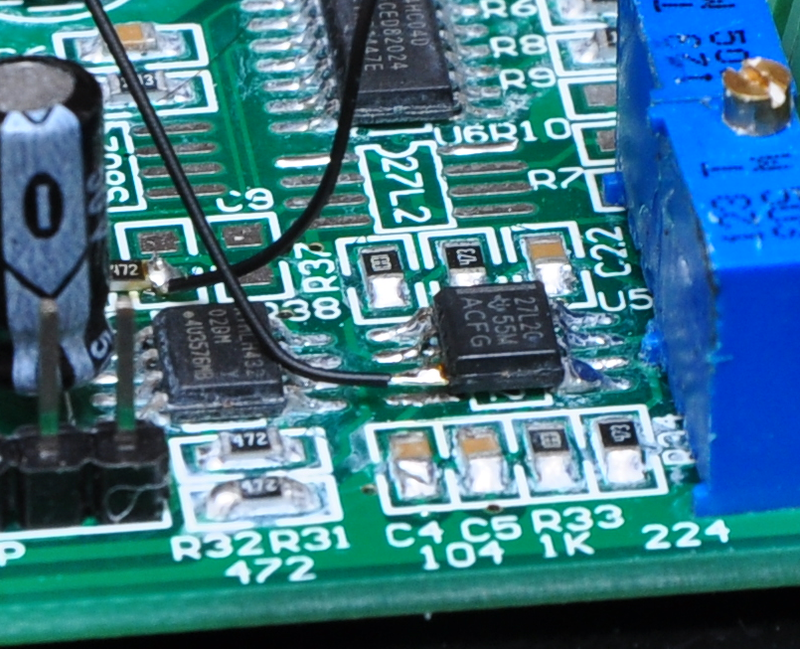 An Adafruit SOT-23 breakout board was used to mount a Linear Technology LTC1983ES6 charge-pump inverter and convert the +5.0 V supply from the LM2575S to a -3.0 V. The rear side of the tiny breakout board has two SOT-23-3 pads and could be used to hide the input, output and charge pump flying capacitors. 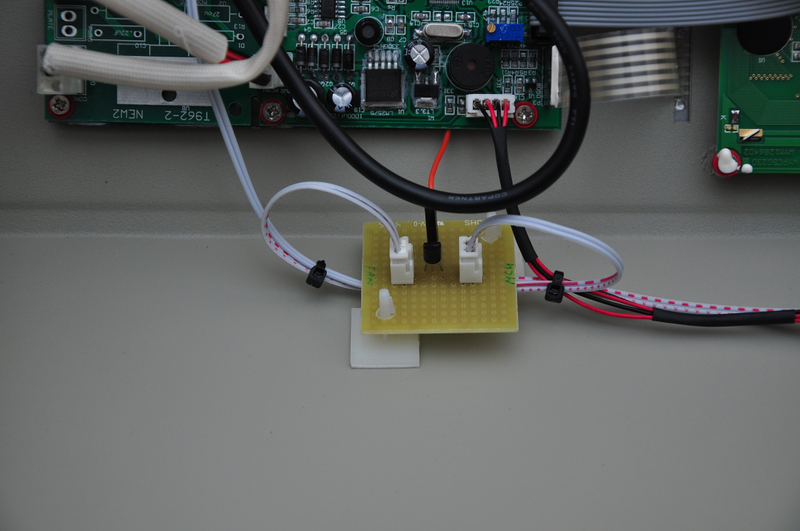 The breakout board was glued in the corner of the thermocouple connector and adjustment pots. The +5 V source and GND connectors can be found on the other side (just in front) of the thermocouple connector. 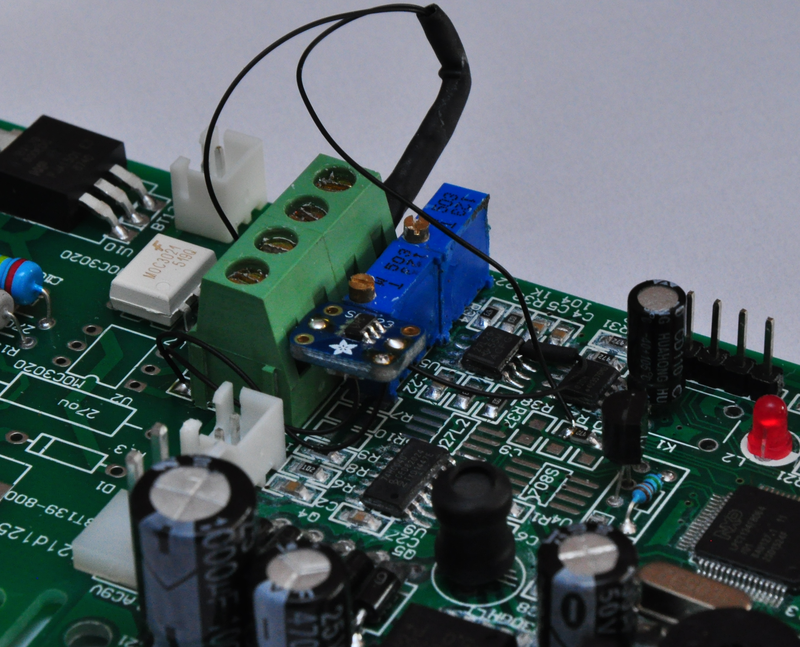 The output of the breakout board is the new -3.0 V supply to the thermocouple preamplifier. 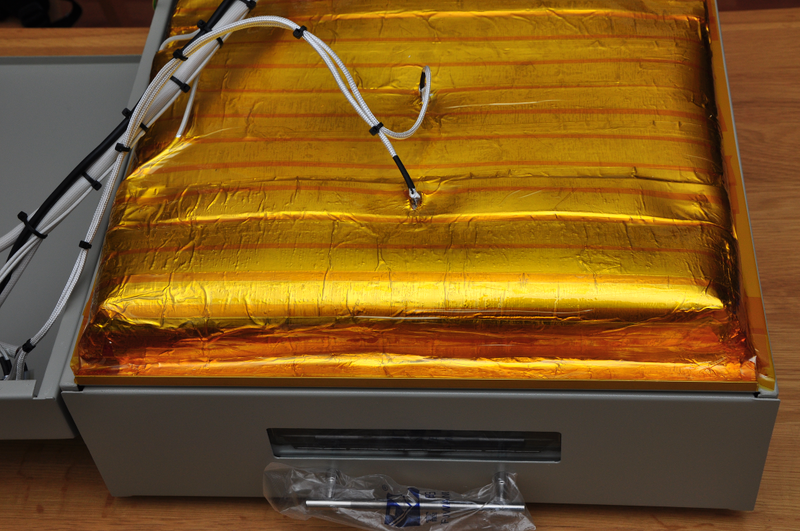 Note that the minimum temperature that can be measured is now the cold-junction temperature reported by the DS18B20 temperature sensor. Measuring temperatures below the cold-junction temperature would require the A/D converter to allow negative input voltages. The cold-junction compensation could also be implemented differently to increase the measurement range. 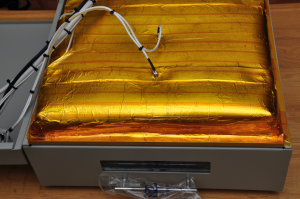 However, temperatures below the cold-junction temperature are not likely in a reflow oven.